Fun versatile bags that appeal to your inner geek! 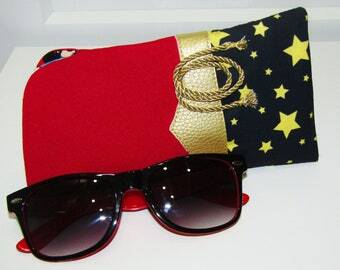 Classic Wonder Woman glasses/sunglasses case complete with the Lasso of Truth. DC Justice League Wonder Woman lining & padded inner lining. Announcement These are not licensed Disney products. They are however, hand-crafted from licensed Disney fabric. More bags are on the way! Be on the look out for your favorite Marvel Avenger, DC Justice League hero, Villains, Dr. Who, or Video game character. 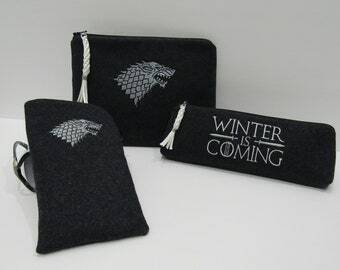 Also coming soon, bags based on Star Wars, Game of Thrones, and other great series. Please let me know if there is a character you would like to see. These are not licensed Disney products. 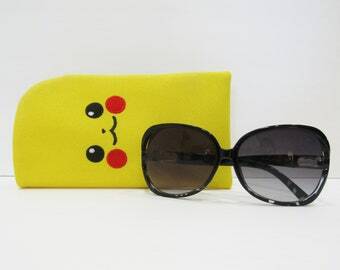 Pac-man glasses/sunglasses case. 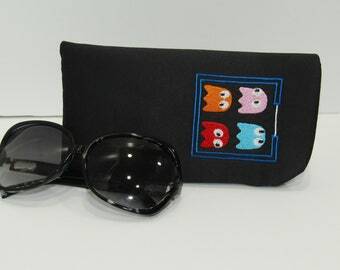 Black glasses case embroidered with the 4 Pac-man ghosts in their cage. Padded and fully lined. 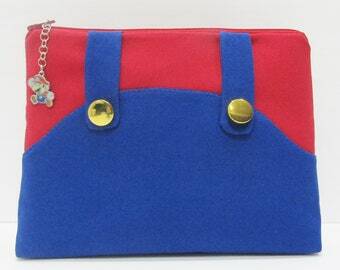 Legend of Zelda glasses/sunglasses case. 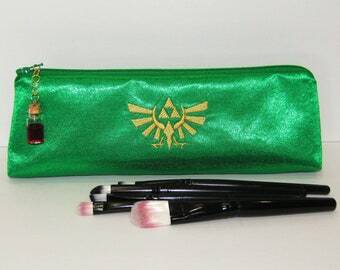 Padded green satin glasses case embroidered with the seal of Hyrule's royal family. 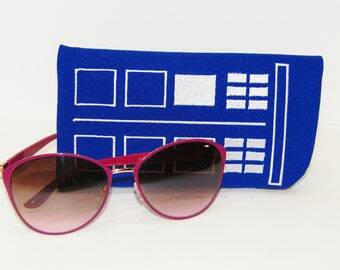 Thor glasses/sunglasses case. Red Avengers glasses case embroidered with Thor's hammer and a lightening bolt. 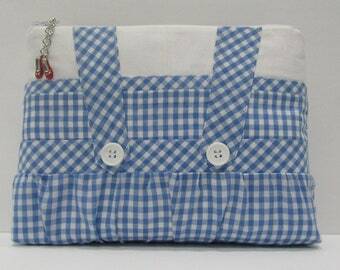 Padded, fully lined case. 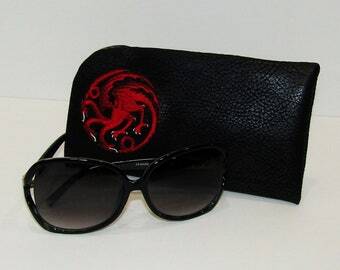 Game of Thrones Targaryen glasses/sunglasses case. 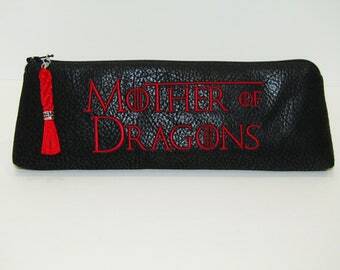 Targaryen Dragon House sigil embroidered on faux leather, lined with G. O. T. cotton. Beautifully made! Such a special, unique cosmetic bag sent to my daughter as she faces hospitslization. Sewing has always been a creative outlet for me. From the outfits I designed and sewed together by hand for my dolls to the 1880s bustle back ball gown, complete with a real metal bustle, that I made for my oldest daughter's wedding dress , The inspiration has always been the challenge of finding a way to turn what I envisioned into a reality. When my youngest daughter lamented that there were lots of super hero items for children but hardly anything for the adult geek, an idea was born. 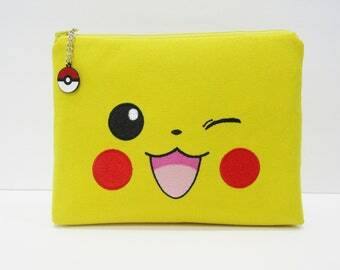 With the input and advice from my own resident geek, I started designing makeup bags for the self proclaimed-geek. I wanted to create something that would hint at a certain super hero but not scream it. The true nerd would recognize it immediately. After nearly 2 years of planning, designing, and sewing different makeup bags, I opened my Etsy shop in November, 2017. My greatest hope is that you will enjoy using one of these bags as much as I enjoyed creating it for you. Who's your favorite super hero? If you don't see it here, send me an Etsy conversation and I'll try to create it for you.